As a personal injury attorney, it’s my responsibility to know the law and to represent my clients to the best of my ability. There are times when automobile accidents occur where the liability for the accident must be shared among the parties involved. The simplest explanation of this sort of situation would be in a parking lot. 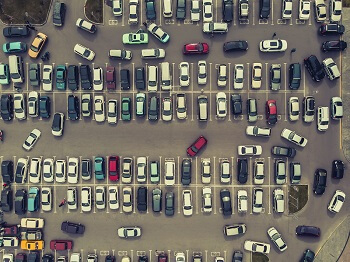 If two people are backing up at exactly the same time and slam into each other in the middle of the parking lane, chances are the insurance adjusters will rule that there is shared liability in the case. Driver A pulls into the parking lot at the post office. Driver B is simply sitting in her car going through the mail she has just picked up. She notices Driver A move hastily into the post office, and within a minute, exit the post office with her mail. Driver B notices that Driver A seems to be in a hurry. As Driver B finishes going through her mail, she slowly starts her car, takes a quick look in her rearview mirror, puts it in reverse, and BAM, she meets up with Driver B in the middle of the parking lot. Upon exiting her car, Driver B sees that the boat hitch from Driver A’s car has seriously damaged her bumper. There is no damage to Driver A’s larger car. Driver B ASSUMES that Driver A is responsible for the accident. After all, Driver B watched Driver A hurry into the post office and hurry back out. Driver B also ASSUMES that Driver A will be responsible for the accident because her car was not damaged. However, when the claims are submitted to insurance, even though Driver A also ASSUMED she was responsible for the accident, the insurance adjuster determined that the blame was evenly split at 50-50. Driver A’s insurance agrees to pay for only 50% of Driver B’s damages. Does this sound right? As a matter of fact, it does. In this case, both drivers were responsible for the accident, because they met in the middle of the parking lot at the same time. Driver B decides to sue Driver A for the remaining damages. Will she win? The answer is, “Probably not.” The decisions of an insurance adjuster are usually considered to be the final word on an accident. Now, if Driver B has sustained injuries – whiplash, chest burns, backaches, she may be able to sue, but chances are the medical costs and repair costs will also be shared equally by both driver’s insurance companies. Accidents can be complicated, so if you are in one, even if it seems to be a minor fender bender, you may need the help of a qualified attorney. Contact David Van Sant, a Georgia personal injury attorney, to discuss the specifics of your situation. He’ll help you understand the law and make sure you get everything you deserve.